The Houghton Road Corridor, spanning 13 miles from Interstate 10 to Tanque Verde Road, is one of the corridor projects included in the 2006 voter-approved Regional Transportation Authority (RTA) plan. Three segments have been completed, and others are in progress. A map of the corridor with the schedule for each segment can be viewed below. Click on a segment to view its individual web page for more detailed information. This project is currently in construction phase, and a public meeting was held in March 2017. 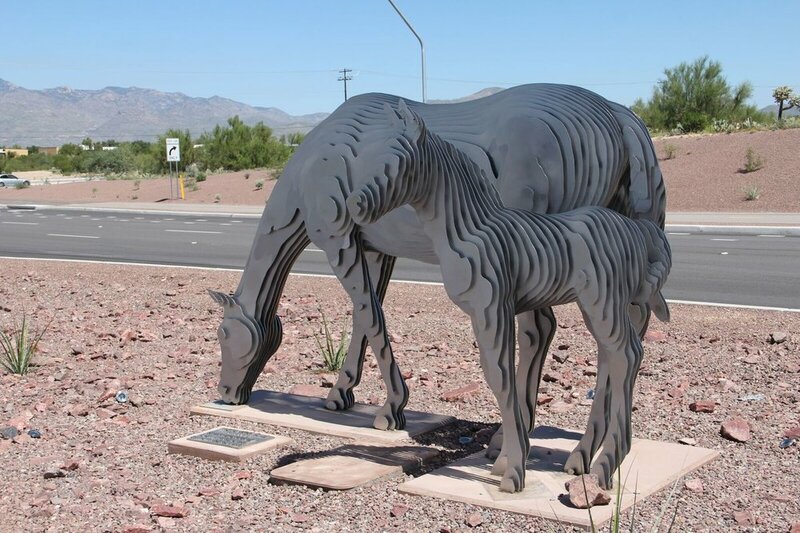 The Mare and Foal sculpture represents the significant presence of horses in the nearby area, and reflects neighborhood input on the public art. Design for this project began in mid-2017 and is anticipated to take 24 months. Receive the latest updates when you subscribe to our email list!